Russia’s and Ukraine’s presidents have not discussed Kiev joining the Moscow-led Customs Union, Russian and Ukrainian officials said, denying earlier media reports to the contrary. 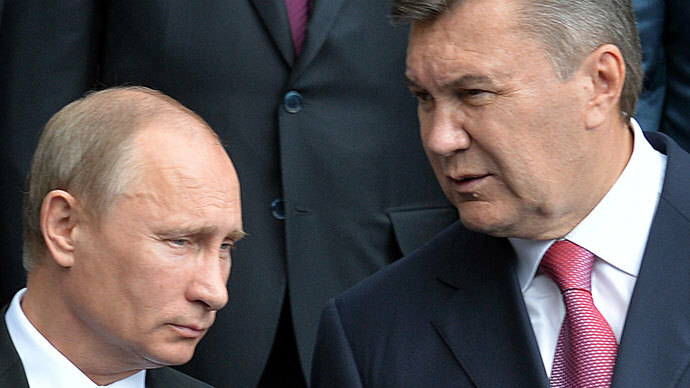 Vladimir Putin and Viktor Yanukovych held a brief meeting in Russian Sochi on Friday, as the Ukrainian president was returning from his visit to China. The two leaders discussed bilateral trade and other economic issues, but the prospect of Ukraine joining the Customs Union was not on the table, Putin’s spokesman, Dmitry Peskov, said Saturday. He was commenting on a report in The Economist, which claimed that Yanukovych and Putin had reached a deal under which Ukraine would join the customs union that currently includes Russia, Kazakhstan and Belarus. A similar denial was published by the website of the Ukrainian president. The British magazine’s International section editor, Edward Lucas, cited a reliable source as saying that Moscow had convinced Ukraine to join the union before 2015, when Yanukovych’s term in office ends. In exchange, Moscow allegedly offered at least $5 billion of aid and a significant discount on the price of natural gas, which Ukraine buys from Russia, the report claimed. Currently Kiev pays just over $400 per 1,000 cubic meters for Russian gas. It is about $100 less than what the standing contract stipulates, due to a discount, which Russia gave back in 2010 in exchange for prolonging the stationing of its Black Sea fleet in Ukrainian territorial waters. The price would be further dropped to $200 under the strategic agreement, the magazine claimed. Gas trade was indeed discussed at the meeting, Peskov said. But the parties did not arrive at a solution to current differences on the issue. Putin and Yanukovych also discussed cooperation in aircraft building, shipbuilding and space industry and financial cooperation, Peskov added. Russia is seeking regional economic integration through the Customs Union project, and wants Ukraine to be part of it. The union seeks to eradicate trade barriers and harmonize national regulations for its members. 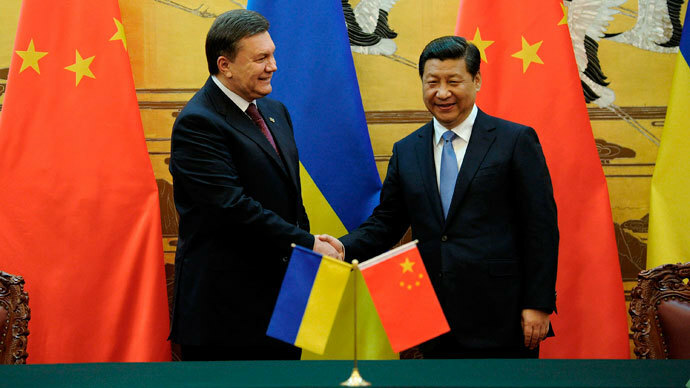 Kiev so far has showed no intention to join the union. The Association Agreement with the EU, which Ukraine decided last month to suspend talks on signing, has similar objectives, but within the European Union. It would be nearly impossible for Ukraine to integrate both with the EU and with the Customs Union. The Ukrainian government maintains that its aspiration is to go westward, albeit on more favorable terms than what Brussels is offering now. 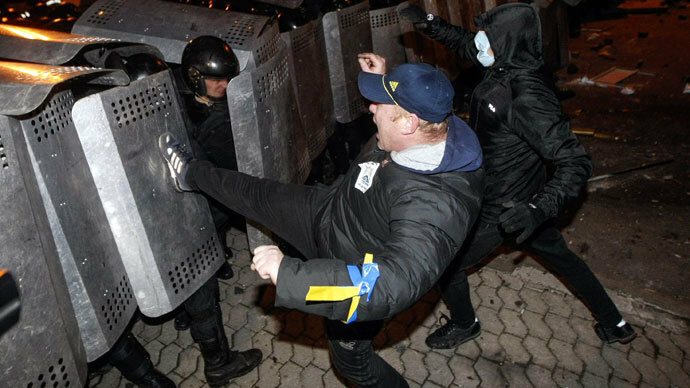 The failure to sign the EU deal sparked mass protests in Ukraine, with thousands of activists staging daily rallies in Kiev and other large cities. 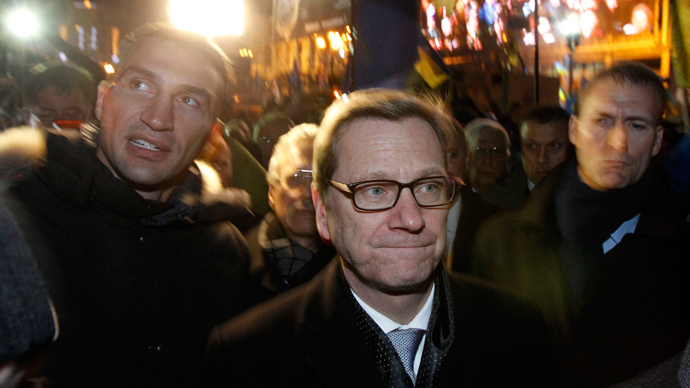 Many EU officials support the protest movement and criticize Ukrainian government for its last-minute U-turn. Russia has called on Europeans to keep their distance, and to let Ukrainians settle their differences on their own.